You need to make sure that you are getting the best range repair service in Apple Valley CA. When you use our stove repair service, you are going to get knowledgeable technicians who can quickly determine what kind of fix you need, and if you need stove parts. Our Apple Valley range repair technicians will work with you, and they'll work on your schedule. Our company is open 6 days a week so that you don't have to worry about rushing through a repair, or waiting late for a contractor to get to your location. Instead of going through the trouble of calling multiple contractors to finish a complex job, you can call one. Our range repair service is here to help you, no matter how complex your job might be. We work in all parts of Apple Valley CA. We can travel to your location, even if your job is urgent. We care about our customers, and we want to make sure that you are getting quality service that you can't find anywhere else. When you call us, we'll come out to your location in Apple Valley CA for an appliance inspection. 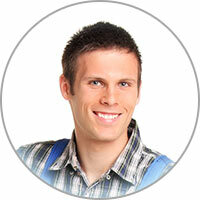 You can feel comfortable with our service-all of our technicians are prompt and professional. From there, we'll determine if you need a repair or have to order stove parts in Apple Valley CA. If you require range parts, we'll get them for you, then properly install them so that you won't have to. We make your life more convenient, and that's why we're the choice of so many for stove repair in Apple Valley CA. 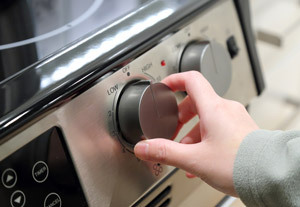 If your stove isn't running the self-cleaning cycle, it could be because your stove' control board is defective. This board is made up of many different relays, which send power to the heating elements and the fan. If this board isn't effectively powering the heating elements, it would prevent the self-cleaning cycle from starting. It's recommended that you begin by testing the easiest parts of the circuit. It's difficult to test the board, so it should be left for last. If a relay is defective, the whole board needs to be replaced.